The appeal was filed against a 2006 judgment of the Bombay High Court, which upheld the order by BCI, denying enrollment to the appellant. 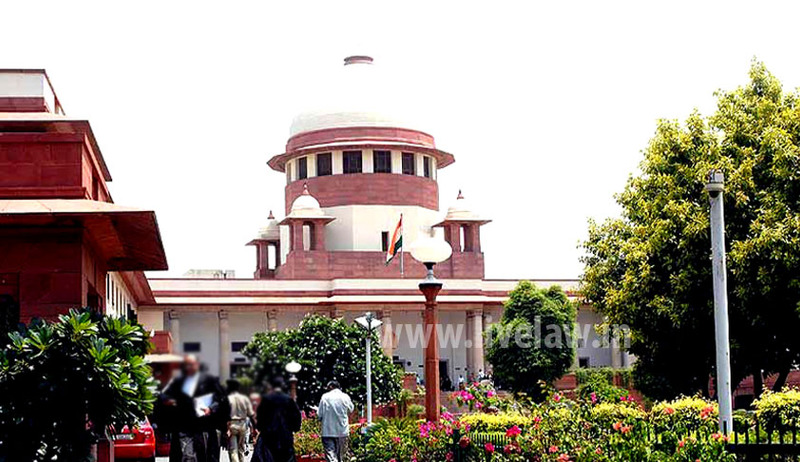 The bench examined various provisions of the Advocates Act as well as the Homoeopathy Central Council Act, 1973 and agreed with the view of the High Court that Bar Council has the independent power to recognize any equivalent qualification to a graduate degree for the purpose of admission in the course of graduate degree in law. Counsel for BCI however submitted that under the provisions of Advocates Act and Rules framed thereunder, Bar Council of India is empowered to lay down standards of legal education and recognition of degrees in law for the purpose of admission as advocates. It was asserted that qualification possessed by the appellant was at no point of time considered as equivalent to a graduate degree of a university by the Bar Council of India. BCI also submitted that the appellant’s LL.B. degree wasn’t being withdrawn; only enrolment is being denied. The appellant, after completion of professional course i.e. Licentiate of the Court of Examiners in Homoeopathy medicines (LCEH), had taken admission to LL.B. course conducted by University of Mumbai. She submitted that LCEH is considered as equivalent to graduation degree by the Central Council of Homoeopathy and such decision is even approved by the Government of India for equating the pay scales. The University of Mumbai admitted the appellant to law course after satisfying itself as regards the equivalence of the professional qualification possessed by her. However, after completion of her LL.B. degree course, when she applied for enrollment with the Bar Council of Maharashtra and Goa, she wasn’t considered for the same as her qualification LCEH is not recognized by Bar Council of India. She hence approached the Bombay High Court and contended that the Bar Council of Maharashtra or Bar Council of India has no jurisdiction or authorities to decide the question of equivalence of educational qualifications, and therefore, their orders are not valid. She had asserted that Bombay University having considered this as a degree equivalent to BHMS admitted the appellant for the three years LL.B. course and now she cannot be denied the enrolment on the ground of non-recognition of the degree of LCEH. She also pleaded that the appellant was not given an opportunity to put forward her case and hence the principles of natural justice were violated and consequently the whole action is of violation of Article 14 of the Constitution. The Court observed "The Bar Council of India Rules provide that for the purpose of joining the course in law for a degree, candidate must be a graduate of any University or must possess such academic qualifications which are considered equivalent to a graduate degree of a University recognized by the Bar Council of India. As noticed above, Section 7 and Section 49 specifically empower the Bar Council of India to make rules prescribing a minimum qualification required for admission for the course of degree in law from any recognized University". "In our view, the High Court has rightly held that Bar Council has the independent power to recognize any equivalent qualification to a graduate degree for the purpose of admission in the course of graduate degree in law." Topics : Archana Girish Sabnis vs. Bar Council of India and others (2014) | Bar Council of India | BCI Enrollment Case | Justice A M Sapre | Justice M. Y. Eqbal | violation of Article 14 of the Constitution.